I followed Peyton and Marc around to many, many softball tournaments over the years. Over that time, I figured out some survival strategies. One priority the other moms and I had was finding ways to avoid using the porta-johns at the ballpark. One day, we went to a Kroger to stock up on snacks and use the restroom. There were a half-dozen of us, and we were lined up behind an elderly woman who was also waiting for the ladies’ room. Through the door, we could hear a young mom with a small child who was apparently in the early stages of potty training. It sounded like it would be a long wait, and game time was fast approaching. Most rules are useful and necessary. But sometimes we become more focused on following the rules than using common sense. And when it comes to our faith, we sometimes become more focused on following what we think are the rules than on following the one who made them. Sometimes we confuse God’s law with what we’ve made it into, with our own traditions and biases. It’s then that we need to look beyond the rules to the intention behind them. That was how Jesus lived, that’s what Jesus taught, and that is at the heart of our passage today. 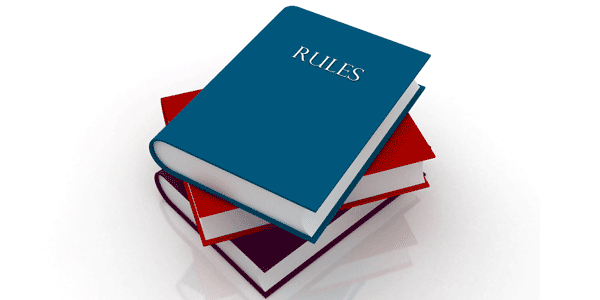 In fact, rules had been the focus of several earlier encounters Jesus had had before getting to our story. Jesus forgave the sins of a man whose friends lowered him down through a hole in the roof, and the scribes accused him of blasphemy, since the law said only God could forgive sins. Jesus had had dinner at the house of the tax collector Levi, along with a whole bunch of other tax collectors and sinners. The scribes questioned why Jesus would eat with such a crowd, when Jewish rules prohibited such behavior. People noticed that Jesus’ disciples didn’t fast like the Pharisees and John’s disciples did, and they wanted to know why they didn’t follow the fasting rules that other religious authorities did. Now they have questions about how Jesus and the disciples follow the Sabbath rules—or not. Before we get too far into the passage, we do need to put up a caution sign. It’s really easy when we read stories about the scribes, Pharisees, and Jews to lump them all together into a single group of hard-hearted legalists. But that would be wrong. While there were some whom the Gospels point to as symbolic of those who wouldn’t accept Jesus, that wouldn’t have applied to all Pharisees, let alone all Jews. Jesus and the disciples were Jews, after all. Challenges to Jesus’ words and actions were not in and of themselves a sign of hostility. Discussions and disagreements on how best to interpret and live out the Law were common and expected in Jesus’ time. The Pharisees studied and interpreted the Scriptures, and then they came up with rules for how to live in God-honoring ways. The challenge then, just as it is today, was that not everyone agreed on what the interpretation or the rules should be. They differed on things like association with non-Jews, and how to honor the sabbath. Like them, we read the Bible and try to figure out, together and individually, what it means for us today—how Scripture can help us lead godly lives. Based on our understanding, we come up with rules that we believe will help us. But Christians today, like the Jewish people of old, have very different ideas about what that looks like. There are differences between denominations, within denominations, and even within congregations. The first rule Jesus followed was that he never interpreted Scripture in a way that isolated the sinner. There are certainly passages in Scripture that seem to suggest that God’s people shouldn’t associate with sinners. The rules that the Pharisees came up with reflected that. For example, Jews were not to visit the houses of non-Jews or eat with sinners. The thinking was that contact with sinners might contaminate the worship of the faithful. But Jesus looked past the needs of believers to the needs of non-believers. He looked to the needs of those God loved and desired to save—their need to feel welcomed at the table of God’s family. He upset the rules of the Pharisees by living according to a new rule that welcomed all to his table and excluded no one. This is good news for us. It’s easy and comfortable to picture Levi’s table as one surrounded by prostitutes and thieves, swindlers and con men, tax evaders, drug pushers, human traffickers, and child abusers. But, Mark doesn’t identify the nature of the dinner guests’ sins. It’s just as likely that the guests around that table looked an awful lot like us—people whose sins don’t announce themselves or get covered by the evening news. We are kind of selective when it comes to sin, and we often give our own a pass. We are quick to label other people’s lives as sinful while minimizing or ignoring the very real sinfulness of our own. But Jesus, who can read the human heart like an open book, sees exactly what sins we harbor in our souls. And, according to his rule, sinners—all of us—are to be welcomed, not shunned. The second Jesus Rule is that doing good takes precedence over the rules. He gets at this in the story of the Sabbath. Jesus never suggests that Sabbath isn’t important. In fact, he affirms its sacredness by declaring that he is lord even of the sabbath. But he also makes it clear that blindly following rules and traditions is not what the Sabbath is all about. When there is an opportunity to do good on the Sabbath, that trumps all the other rules. We don’t know why the disciples were plucking heads of grain on the Sabbath. Jesus’ references to David’s hungry men seem to indicate that hunger was the motivation, but scholars say that there are other possibilities, too. I wonder if maybe they were picking the grain so they could feed other people. After all, it wouldn’t be long before Jesus and the disciples face five thousand hungry men and their families, and Jesus says to the twelve, “You give them something to eat.” Maybe Jesus had already begun teaching the disciples what he reminds the Pharisees of: that “the sabbath was made for humankind, and not humankind for the sabbath.” He reminds them that helping others is more important than following manmade rules. Jesus’ Rule puts doing good first. Jesus actually stated his rules pretty clearly near the end of his earthly ministry. Asked which commandment in the Law is the greatest or first, Jesus answered, “You shall love the Lord your God with all your heart, soul, mind, and strength, and love your neighbor as yourself.” Wherever we find Jesus reinterpreting the rules, we find him honoring and fulfilling the Law—the law of love, love for God and love for others. When we find ourselves struggling over whether we, or others, are following God’s law, we would do well to remember Jesus’ rules. When there divisions between Christians, the division is often about what rules to follow and how. This week, I’ll be attending the West Ohio Annual Conference. I expect to hear a lot discussion and likely some divisiveness there. One item on the agenda includes discussion and voting on how churches in the West Ohio Conference should care for immigrants and refugees, including those who are undocumented. This is sure to be controversial. There is also likely to be informal discussion around the issues of human sexuality, as we wait for the bishops to finalize their proposal to the General Conference to be held next year. This issue has caused a great deal of heated and sometimes angry debate within the United Methodist church, as it has for other denominations as they’ve gone through their own periods of self-examination and decision-making. As more information is made available, that will be a good time for us to remember Jesus’ rules, and use them to help us differentiate between our manmade rules and what is God’s law, as Jesus saw it, refusing to isolate those we label sinners, choosing to do good, loving God with all our heart, soul, mind, and strength, and loving our neighbors as ourselves. As we come to the table today, we can be grateful that because of Jesus’ rules, we are welcome there. We are invited to the table, not because we are sinless, but because we are sinful and, as we affirm in our baptism, all, of every age and station, stand in need of this means of grace which the Church alone supplies. We come, knowing that we are welcome because of the Jesus Rules. But we also come because of the fact that Jesus rules—that Jesus, Lord of the sabbath, Lord of all creation, Lord of our lives—is the one who offers us the means to live faithfully, following God’s law of love. Amen.